Big cat tourism in South America could easily compensate farmers for livestock losses to jaguars, finds new research from the University of East Anglia (UEA). The research found that jaguar ecotourism represented an annual income of almost $7million in one region of Brazilian Pantanal, and that livestock losses to Jaguars equated to only US$121,500. The researchers suggest that a compensation scheme for cattle ranchers should be put into place to reduce human-jaguar conflict, funded by the tourism businesses benefitting from Jaguar conservation. The Pantanal is the world’s largest floodplain and is widely considered the most important wildlife tourism epicentre in Latin America, in part due to its reputation as the best place to see Jaguars in the wild. World Land Trust’s (WLT) partner, Guyra Paraguay, manage a 52,000 acre (21,000 hectare) reserve in the north-eastern tip of Paraguay, a unique habitat where the Pantanal transitions into the Dry Chaco. 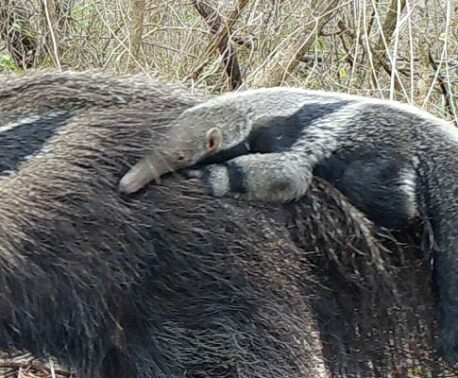 Guyra Paraguay run the Three Giants Biological Station on this reserve (named after the Giant Otter, Giant Anteater and the Giant Armadillo present around the station) which is open to tourists. Rodrigo Zarate, Sites and Conservation Units Manager for Guyra Paraguay, told WLT that most visitors come to Three Giants in the hope of seeing Jaguars, “They have high expectations but they know that we are conservationists and our reserve is not a theme park, our role is to keep the habitat and species as natural as possible. Traditional cattle ranching has been the prominent use of the Pantanal by local people for more than 250 years, and occupies about 80 per cent of the Pantanal area across Brazil, Bolivia and Paraguay. As local communities involved with ecotourism are typically more tolerant of conflicts with big cats, such as cattle depredation, it is important that the Pantanal wildlife tourism involve the ranching community. 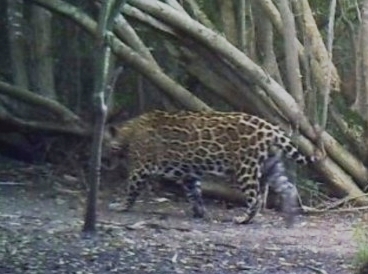 Guyra Paraguay report that Jaguars and Pumas to the South of the Chaco-Pantanal Reserve have been known to attack livestock, and the losses are hardest for small ranch owners. 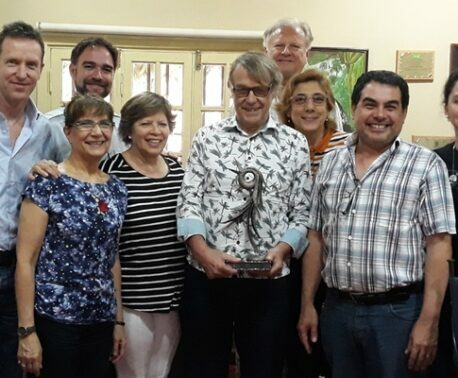 The current system for reporting wildlife conflict can be improved, said Viviana Rojas, Species Conservation Manager at Guyra Paraguay, who is working on a project funded by the National Science Council (Conacyt) to resolve this conflict in the area. 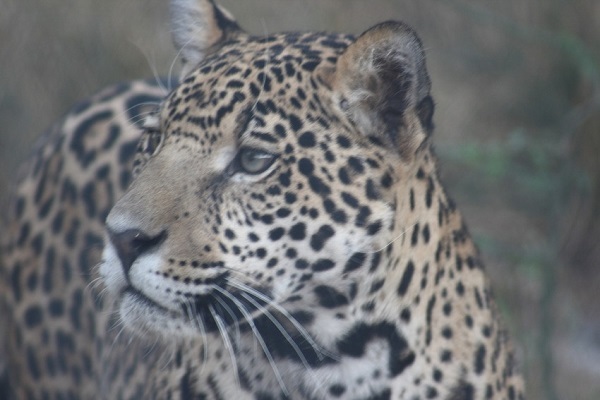 The research, conducted with the Federal University of Mato Grosso and conservation organisation Panthera, evaluated the income from jaguar tourism and calculated livestock losses to jaguars in Brazilian Pantanal. The study also showed that 80 per cent of tourists would donate an additional 6.8 per cent of their tour package costs for a compensation scheme for cattle ranchers. Professor Carlos Peres, Professor of Environmental Sciences at UEA, said, “The discrepancy between the financial benefits and costs of retaining jaguars provides a huge window of opportunity for the conservation of this flagship cat and many other species of the increasingly embattled Brazilian Pantanal. When planning a holiday to see wildlife, it is good practice to engage with tourism operators that work with local people to benefit the community and reduce any human-wildlife conflict, like the Three Giants Biological Station. Tortato, F. R., Izzo, T. J., Hoogesteijn, R., & Peres, C. A. (2017). The numbers of the beast: Valuation of jaguar (Pantheraonca) tourism and cattle depredation in the Brazilian Pantanal. Global Ecology and Conservation, 11, 106-114.